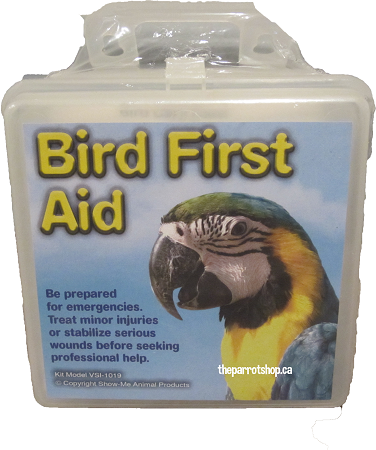 Every bird owner needs this valuable first aid kit. Its clear instructions help you remedy common injuries quickly, and plastic case keeps supplies easily accessible. This is a must have for every parrot owner. Has everything you need for those accidents or emergencies that might happen and can't get to the vet.